Afternoon tea is served everyday at 4pm at the Tugu Malang and Tugu Blitar. Each day we’ve been at the hotel in Blitar we’ve had different delights. Some savoury, some sweet. You often don’t know for certain if it’s going to be sweet or savoury. You can’t tell by sight alone. It’s been a lovely treat, and the vanilla tea is delicious. Ah…I shall miss this when we return to staying in backpacker joints. Below is a gallery of some of the delights; all of which were delicious. NB: click on a photo to start the gallery. 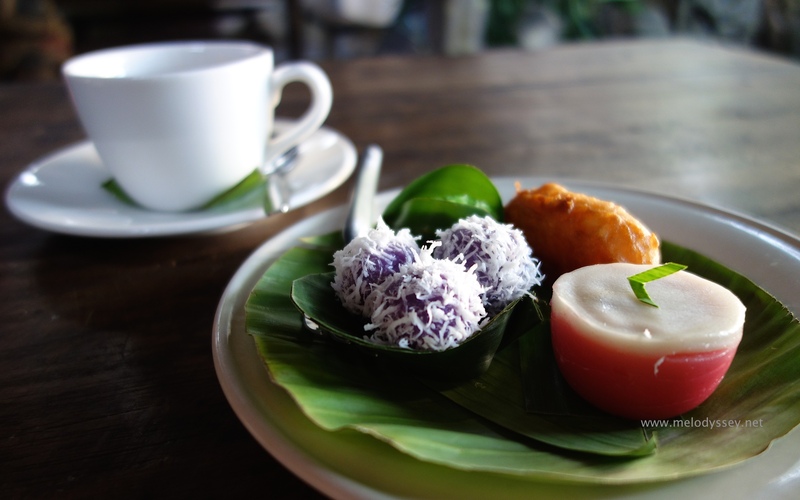 This entry was posted in Blitar, Food, Hotels, Indonesia, Malang and tagged Afternoon Tea, Blitar, Food, Malang, Tugu Hotels by mellymel2014. Bookmark the permalink.